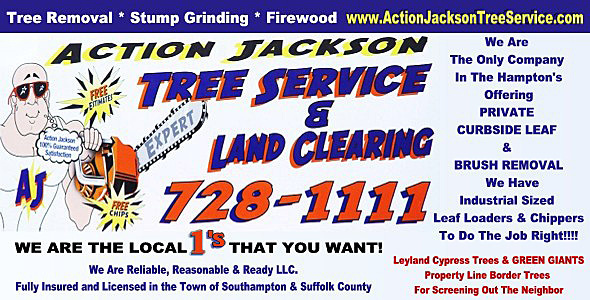 Action Jackson Tree Service & Land Clearing aka Reliable, Reasonable & Ready LLC is a Licensed & Insured home improvement, landscaping & tree service company in Suffolk County & The Town of Southampton. 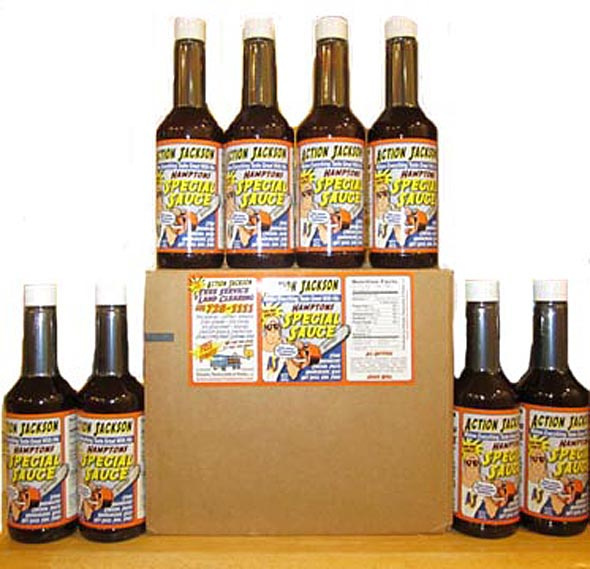 We focus on the needs and desires of our customers. 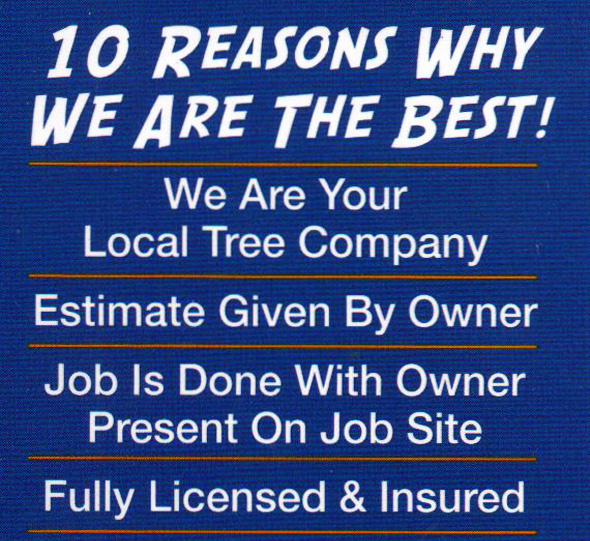 We have over 20 years experience in the tree service, landscaping and home improvements business. We do both residential & commercial work and we tackle them all with the same enthusiasm no matter the size. Estimates are always free. We give fair pricing and service Long Island with state of the art equipment and we are prepared for complicated and dangerous jobs. 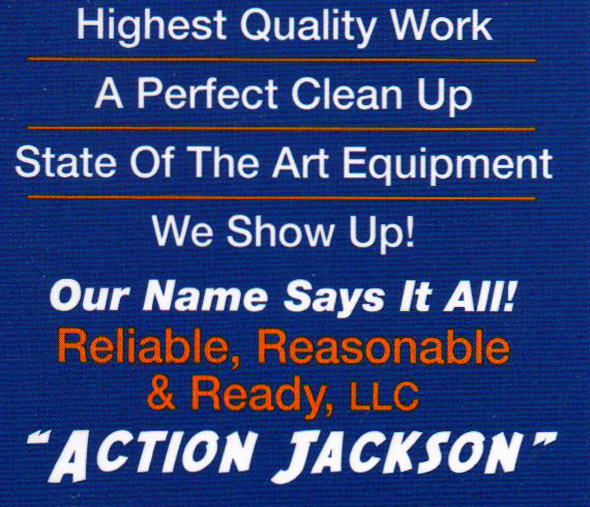 Whether you have one branch, one tree, one stump or acres to clear, Action Jackson will take care of business. We offer the SAFEST, quality work at a fair price with the best clean up in the business. We focus on safety,and efficiency and getting the job done correctly rather than speed . We pride ourselves on leaving you with a smile on your face, no work for you to do when we are gone and that you will be bragging about us to your friends, family and associates. Referrals, Referrals, Referrals are an important part of our business. Tree Removal- There are several signs that your tree may need to be removed. Some of these signs include big branches dying, the tree losing medium to bigger live branches, leaves falling off really early in the year or not coming back at all in the Spring, dead or hollow sections in the trunk or branches, rotten base of the tree or root rot. The tree may have a disease or illness. You may also want to remove trees too close to the house, foundation, sidewalk, driveway, underground pipes, power lines or if the tree is leaning badly to one side or the other. There are many reasons a tree may need to be removed so have us look at it for you. You can have the removal priced in several ways to accommodate your needs. Let us know how you want it priced and we will break it down for you. Stump Grinding-When a tree is removed we can cut it as low as possible to the ground or we grind out the stump below ground level. We bring in an extra piece of equipment (Stump Grinder) to grind out the stump. This allows you to plant something else there or just eliminate the stump altogether. THAT'S RIGHT NO LEAF PICK UP! FOR A FALL CLEAN UP! And We Will Pick Up All Of Your Curbside Debris.